If by luck you're a fan of the car Radical SR8 RX, then surely you are happy that the automaker is preparing its very first model of the coupe. While that was not published any specific details on this car, but during tests homologated for urban traffic models SR3 SL, journalists managed to get a bit of unofficial information. 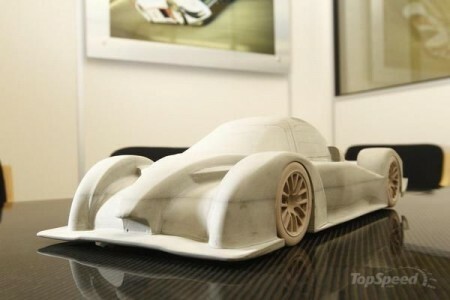 The new model will be presented in versions for the city, and exclusively for the track. Both models will equip eight-cylinder engine capacity of around 650 horsepower. A couple of the engine will make seven-speed transmission with steering sekventialnaya switches gears. In addition, the car will receive a door in the manner of Mercedes SLS, double wing, and the body become wider at 1,950 mm. The appearance of the car is expected in 2014.